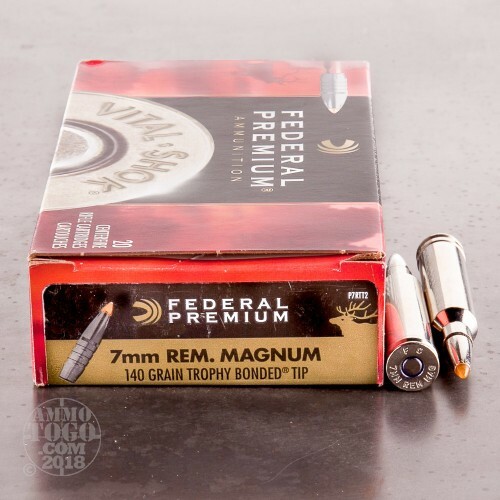 This is 7mm Rem Mag Federal Vital-Shok 140gr. 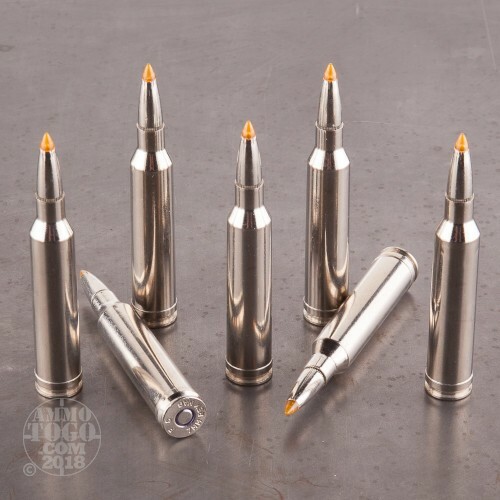 Trophy Bonded Tip Polymer Tip Ammo. You spend all year dreaming of the moment of truth - why trust it to anything less than the best. 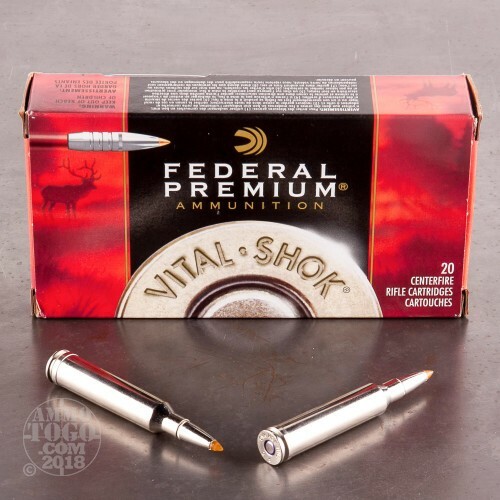 Vital-Shok is available with the world's finest big game bullets, including the unrivaled Trophy Bonded Tip. 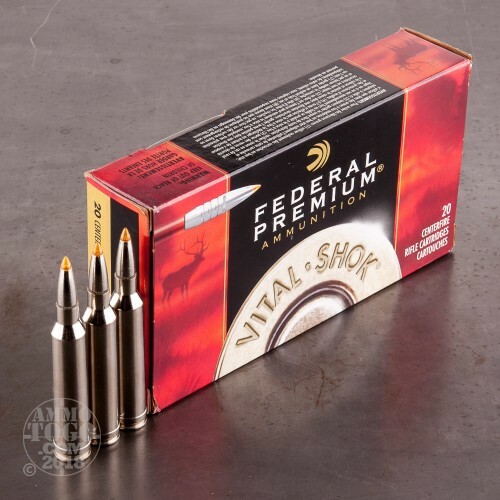 Match that with world-class brass, select powders and legendary primers and you get ammunition you can truly believe in. This ammo is brass cased, nickel coated, boxer primed, non-magnetic and non-corrosive. It comes packed in 20rd. boxes. Muzzle Velocity: 3150 fps.